Our Changing Places toilet has more space and the right equipment for those who cannot use standard accessible toilets. The equipment includes a height adjustable changing bench and sink, and a hoist. 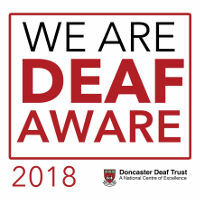 Lakeside Village is one of the first organisations in Doncaster to receive Doncaster Deaf Trust’s Deaf Aware stamp of approval. This was given to Lakeside Village because the management team took part in a Deaf Awareness Training programme and have pledged to continue to work to make the centre Deaf Aware. From 6 April 2019, a weekly Autism Hour is held every Saturday from 9.30am – 10.30am to provide a calmer, quieter space for people with Autism to shop. The centre also offers a quiet room for visitors who need a little time out. Some individual stores can offer a quiet space when needed, please enquire in store. Lakeside Village offers easy access to make visiting accessible for all our customers, including those with disabilities. There is step-free access at all entrances to the centre and a number of disabled and family parking spaces, concentrated towards the front of the car park for ease of access. 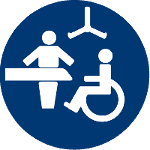 There are disabled toilets located in our indoor public facilities area, including a Changing Places facility which has more space and the right equipment for those who cannot use standard accessible toilets. The equipment includes a height adjustable changing bench and sink, and a hoist. We also have a baby feeding and changing room for families. Whether you wish to shop or dine, you will find that everything at Lakeside Village is accessible on one ground level. FREE Shopmobility services are available from our Security staff. This enables you to hire, free of charge a wheelchairs to use whilst at the centre. Please call the Security office using the intercom located at next to the cashpoints within our indoor public facilities area. If you wish to arrange this before you arrive at the centre, please call 01302 366 444 and select option 2.